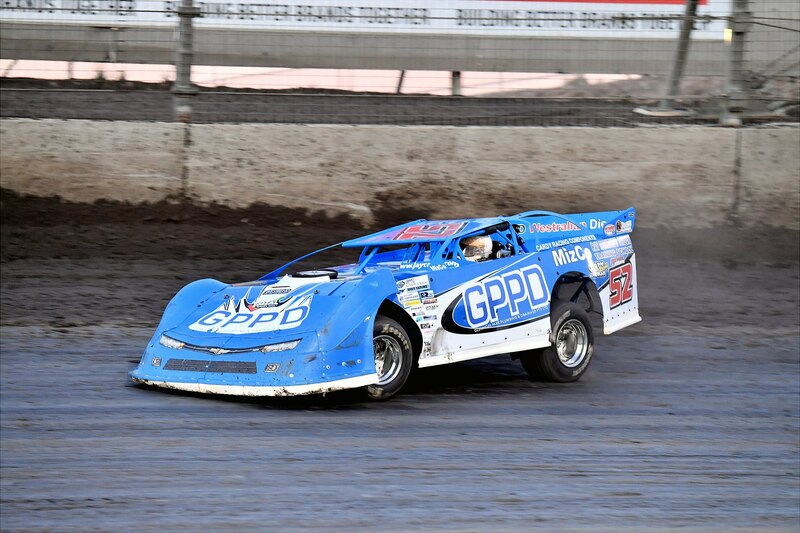 It doesn’t get much bigger than this weekend, with not only the 22nd annual WA Late Model Championship on the line, but also one of the final opportunities for competitors to gain points towards the Sims Metal Management Late Model Pro Dirt Series. 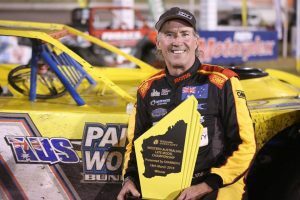 Current Australian and Western Australian Champion Paul Stubber will put his WA Title on the line this Saturday night at the Perth Motorplex in a showdown that will double as Round Ele ven of the Pro Dirt Series, and with twenty competitors nominated it is sure to be another lung buster. So who will be running this weekend? Well it is a veritable who’s who of WA Late Model racing! Heading the field is defending champion Paul Stubber who grabbed his maiden WA Title last year. Having also finished on the podium once prior Stubber knows what it takes to run at the front in big races and being the current thirty lap record holder at the Perth Motorplex, the same distance the championship feature will be conducted over, he is in with a big shot of going back to back. 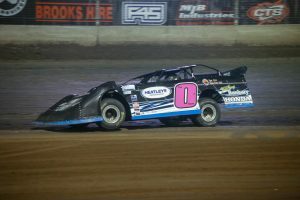 Brad Blake is the all-time greatest feature race winner for Late Models at the Perth Motorplex with thirty five feature wins (second time on the all-time Perth Motorplex winners list) and also leads the stats for the WA Title with nine wins. He also has three podium finishes, meaning twelve podium finishes out of the entire twenty-one-year history of the event so far. He also has two feature wins this season and two other podiums, meaning he is certainly going to be a formidable opponent this weekend. Ryan Halliday, Marc Giancola and Warren Oldfield are the only other three drivers in the field to have previously claimed a WA Title win, Halliday winning in 2000/01 (and claiming four other podium finishes), Oldfield grabbing the win in 2011/12 (having also claimed three other second place finishes) and Giancola with his victory in 2013/14. All three have been consistently towards the front throughout the season and would love to have another WA Title under their belts. Michael Holmes has also been having a good season and leads both the Perth Motorplex Track Championship and the Sims Metal Management Pro Dirt Series. Holmes has only finished on the podium once, a third place in 2016/17 and is desperate to grab that elusive State Title win. Jay Cardy (two second places and a third) will pace the field for the feature event in a tribute to John Cardy this weekend and is hungry for his first title while there are no other drivers other than the aforementioned seven drivers who have won or podiumed in the WA Title previously: in fact, only a total of eleven drivers have won the title, with just twenty six driver grabbing a podium in history. Of course, names like Kye Blight, who has two feature wins to his name this season, and Brent Vosbergen, Joe Chalmers and Freddy Kinsella who have all claimed heat wins so far this season, will all be keen to make a name for themselves amongst a whole stack of others, meaning that racing is going to be hard and fast from the very first drop of the green flag. Even veteran competitors like Willy Powell and Simon McNab will be fighting hard to get that elusive #1. 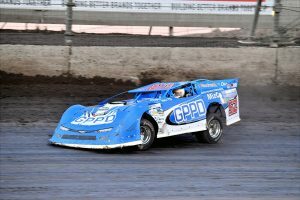 This weekend has all the ingredients for what is sure to be a fantastic night of racing and everyone is going to be absolutely laying it all on the line!